Manny: To a girl... To a guy that's like six months of therapy! Q: Is "Ice Age: Dawn of the Dinosaurs" based on a book? Q: What species of extinct animals are shown? 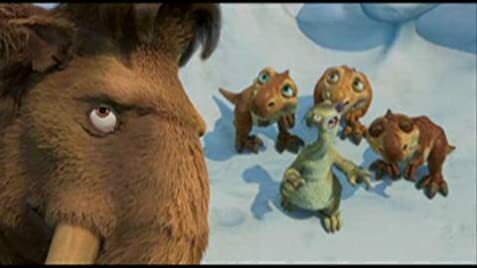 Ice age 3 was really funny and it stays true to the series. Same old characters, a whole new adventure that everyone at any age can enjoy. I saw the critics and I thought to my self that it would be good, but I didn't expect much, but I really did enjoy it more than I thought. 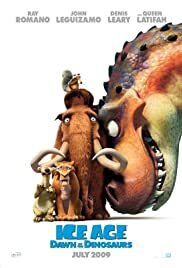 It may not be the best compared to the other Ice Age films, but it still a great thrill ride that the audience can enjoy. And if you find a theater near you that has it in digital 3D, go and watch it in 3D, because the action and adventure will excite you even more than it actually does. Normally people think since it's a third part, then the movie won't be that great, but hear me when I say that keep that thought out of your mind and parents, take your kids with you, they are sure to leave with a smile and a long lasting excitement for more. 100% enjoyable, its a 10! 74 of 102 people found this review helpful. Was this review helpful to you?